Postcard NL-2466145 from the Netherlands shows the Alde Feanen National Park, located in Friesland Province, the Netherlands. 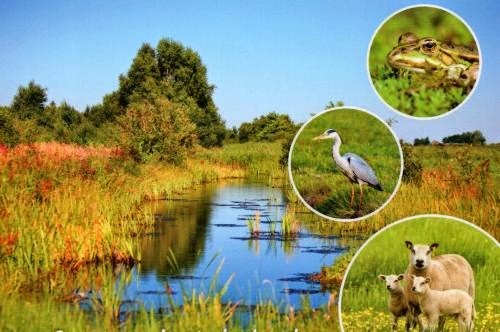 It is part of the Natura 2000, an ecological network of protected areas in the European Union. There are at least 450 plant species and 100 bird species in the morass, lake, forest, peatland and meadow ecosystems.